Valentine’s day is one of those Marmite holidays, you either love it or hate it! I personally love it as I believe that things are only as commercialised as you choose. A day which is about showing loved ones how much you care is a good day for me! If you are joining in with celebrating Valentine’s day this year, I thought that I would put together a few ideas of items to buy. Some of the links in this post contain affiliate links which simply means that if you click the link and make a purchase I get a few pennies but it costs you no extra. Flowers are a classic Valentines gift and I particularly like the heart-shaped bouquet of red roses from Bunches. 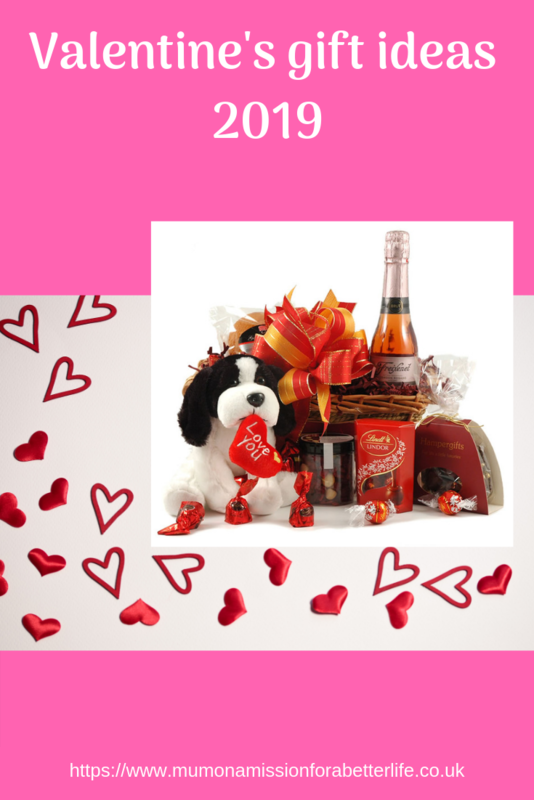 Bunches also offer a range of Valentine’s hampers and they have one for men called Mr. Darcy which I think is really nice. This is the Tasty Tuck Box Gift Selection from Marks and Spencers and is great for that special man in your life. 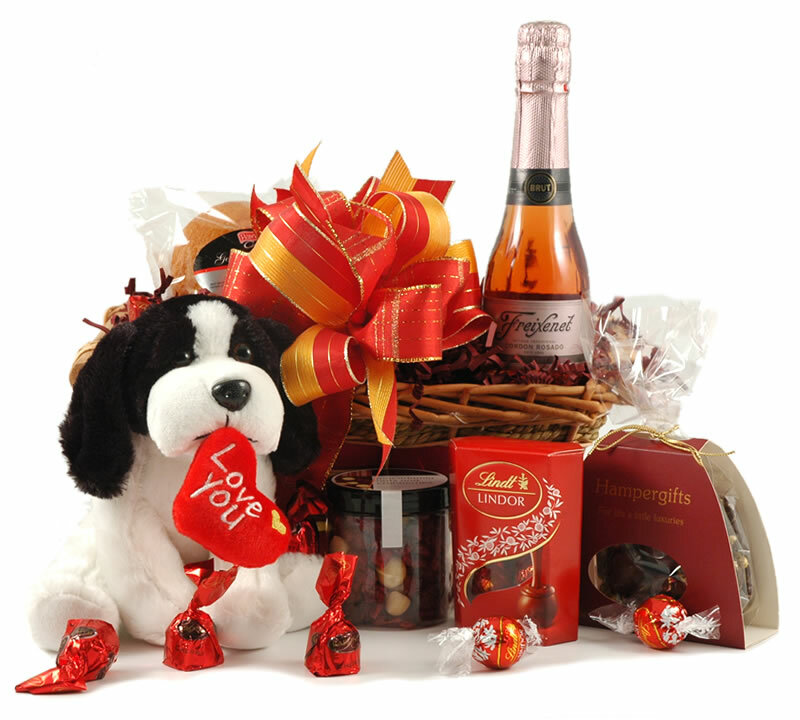 Hamper gifts offer a great selection of hampers for Valentines but I am in love with this one! It is called Romantic Surprise and the dog soft toy is so cute! Marks and Spencers have a great range of gifts for men, which I always find more difficult when looking for Valentine’s gifts. Pandora has a lovely selection for Valentines and I especially like this ring, it’s beautiful. ‘Made with sparkle and love’ have some lovely personalised gifts and I really like this unique gift called Locked in Love Padlock which can be personalised with names and a photograph. Are you a fan of Valentine’s day? If you are, have I inspired you with any ideas of what to buy your loved ones?